I just want to thank you and your team for making Brenna and Jeff’s wedding a truly magical night. You and your team are truly committed to your brides & their families. In the end, we all had a wonderful two nights and we would pick DBB Events all over again! Looking forward to one day being the mother of the bride & hoping you will be right there with me! We can’t thank you enough for all you did to make the weekend so incredibly special, beautiful and reflective of our personalities. It truly was even better than we could have ever dreamed it could be and that was thank sot you. Thank you for being so attentive, creative, flexible and great to work with! I can hardly find words to express my gratitude for your help over the past 1+ years. You are a dream to work with and so are all the members of your team. Wedding day was so calm for me because you guys took care of everything. What an amazing wedding! 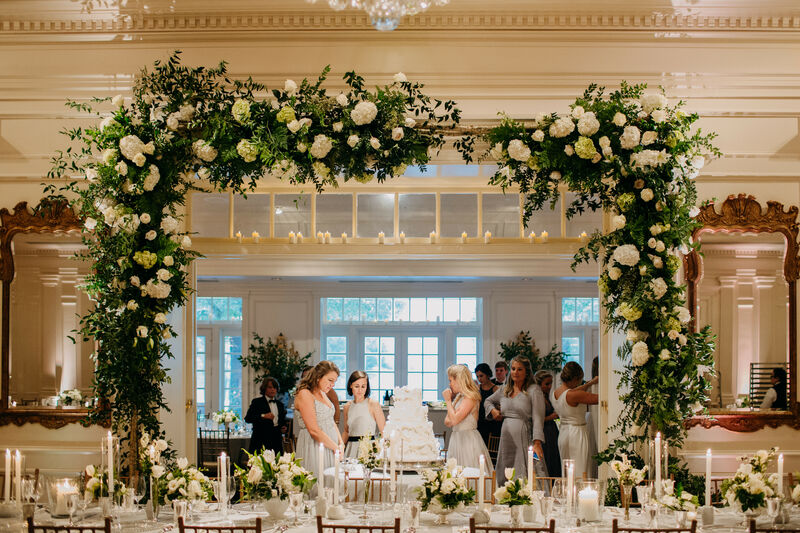 We customers really have no idea what it takes to plan and execute a wedding — much less a truly first-class event — even after we’ve lived through it. But we are so very grateful that everything was fabulous. Thank you so much! Thank you so much for spending the last sixteen months planning our dream wedding and executing so perfectly! We appreciate the way you handled everything with grace and did everything with a smile on your face. You were the best investment we made during the wedding process. We can’t thank you enough for your expertise, your calm demeanor, your attention to detail and your vision and creativity to pull so much together. We will always appreciate all you did for us. You were given an amazing gift to be able to plan beautiful events. Thank you for using your gift to bring incredible joy and peace of mind. Our family and friends cannot stop talking about how this was the most amazing wedding they have ever attended. I wanted to congratulate you on a fantastic job. All the planning, thousands of details and decisions, paid off. I can’t think of a single glitch. You have grace under pressure. We have received so many compliments last night and today. Thank you for making us look so good! That was all I could have ever dreamed of and more. It was perfect and so amazing in so many ways and y’all were incredible!!! Thank you for being so on top of it and awesome and wow!!!! Just have to tell you that everyone is taken aback about the whole weekend, down to the last detail, wow, awesome, gorgeous, the bar is set to the moon, beautiful …… I could go on and on! You two are amazing and everyone wanted to know about you and meet you both! 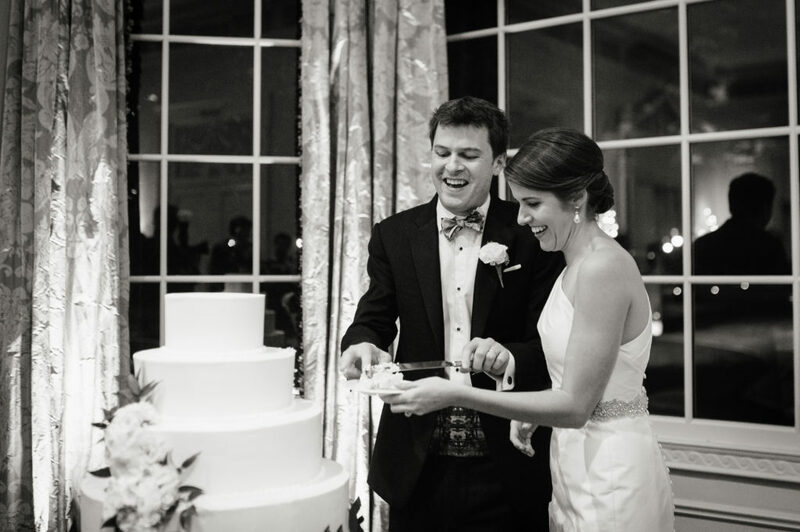 From the bottom of my heart I could not have imagined a more perfect wedding for Laura! Everything worked out beautifully. Nice job! Thank you and Heather for all that you have done… ideas, suggestions, legwork… and more! Jeff and I had an absolute blast at the wedding and everyone we have talked to has said that it was the most fun wedding they have ever been to! I just wanted to thank you so much for all of your hard work. I think everything turned out perfectly and if anything didn’t, then I certainly wasn’t aware of it! You and Heather were such a pleasure to work with and I truly appreciate everything you did. Thank you for everything you did! Dina, you had a vision and I trusted you and wow! You did a spectacular job. The wedding was magical and I cannot believe what a beautiful evening it was. Every single detail was simply amazing. Thank you, thank you! 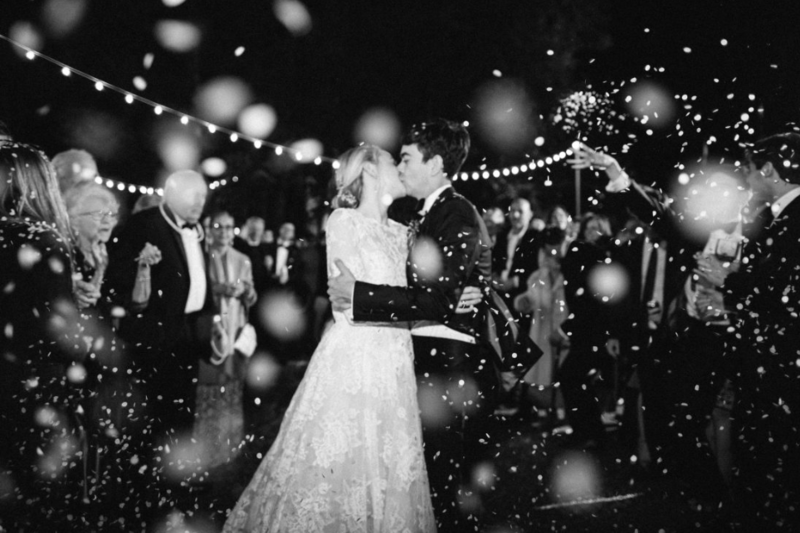 Magical…Magnificent…Perfection…just a few words to describe Katie & Karl’s wedding. As the old saying goes, “You had to see it to believe it!” Thank you for guiding us through this process in such a professional, yet personal manner. It’s hard to believe the wedding is over! All the hours of planning and preparation you put into it made it a perfect weekend in every way. Every detail was handled and looked after with such care. All your vendors were incredible. I’ve never seen Lauren happier. She was just radiant all night. Because of all your work she had no anxiety about anything after she got out on the dance floor for that first dance! You’re the BEST! I would like to thank you for everything you did to make Alison and David’s Wedding Day beyond perfect! Everything went so smoothly and I know that you were working behind the scenes to make the day flawless. Everyone kept coming up to us and saying how much they enjoyed the entire Wedding. People used word like spectacular, elegant, classy, fun, and so on. Thank you for going above and beyond to make sure that we could spend the day with as little stress as possible. Your reassurance and moral support was priceless. I would be more than happy and with every confidence to recommend you to anyone who needs a Wedding Planner extraordinaire to make their Wedding Day perfection! I just wanted to thank you for making Josh and Kate’s wedding such an outstanding success. We have never experience such and amazing event! Even the unexpected rain could not upset the karma of the day. In fact, moving the wedding in seemed to add to the intimacy and joy of the ceremony. Also, the dining area was completely gorgeous! I could keep writing about the wonder of it all, but suffice it to say that it was an awesome weekend! Wow! Where do I begin? The wedding was perfect…..so beautiful, intimate, romantic, and fun. All of us in the family were thrilled and could not be more pleased. In fact, Kate called the other night to say that she and Josh had so much fun they are ready to do it again! Thanks to you and your team for making it such a beautiful and perfect evening. You made magic happen! I just wanted to thank you again for everything you did for me with my wedding planning. I was absolutely thrilled with how everything turned out. I know you did a million little things that I had no clue about. I have already recommended you to two recently engaged friends of mine. I am so appreciative of everything. The perfect wedding would not have occurred without you. I know the day was seamless but to have guests tell me how flawless the event was made me smile. Your calm demeanor, initiative, and excitement throughout the planning season and wedding day was more than amazing. You did an outstanding job and I am forever grateful! Thank you for all the hard work and planning it took. The planning sessions, phone conversations and multiple emails it took to execute her dream wedding were handled by you and your team in an organized professional way. Your “can do” attitude sets you apart from just a “wedding planner”! All of us could see your heart and soul incorporated into every detail and wanted you to know those qualities did not go unnoticed. I would like to thank you for creating a truly “magical” wedding weekend. Thank you for making our vision come to life and exceed our expectations! You were such a big help to all of us the entire weekend & for the past year!! I DO NOT KNOW HOW WE COULD HAVE DONE ALL WITHOUT YOUR ADVICE, CREATIVITY & EXPERTISE! The Mansion looked so beautiful & want to keep this in our dearest memories-of such a wonderful & joyous celebration their wedding was -for all four of us! Thanks for all you did to assist in making it just the most perfect day! photos & will cherish these memories for many years to come! First and foremost, we must say we had the best event planning team possible. You and your staff ROCK!!! As I’ve typed this message my eyes have filled with tears several times. Please know that they are tears of joy. We can not thank you enough for all you did for our special day. What a great event you organized for our “Engaged but really Married Party!” Your attention to detail afforded me the opportunity to enjoy the party. Your “extras” such as a signature drink had the party going from the first guest at 7:00 until the last person left at 2:30 am….Thank you for the memories you help provide.